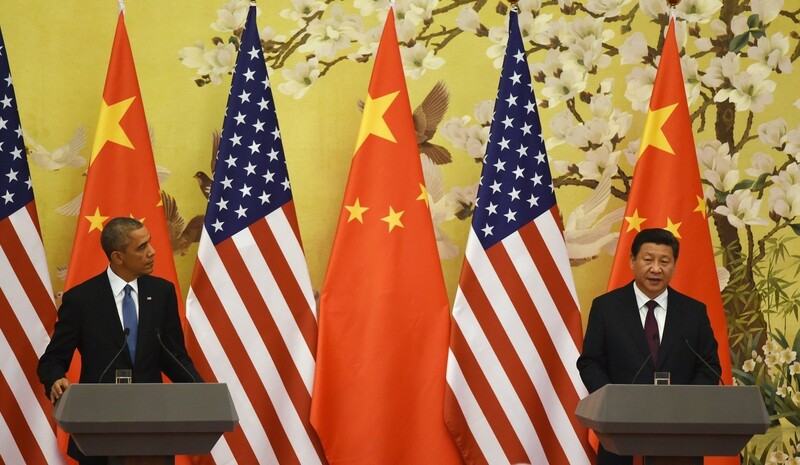 U.S. and China Greenhouse Gas Deal: Landmark Move or More Hot Air? The world woke up to excited buzz Wednesday announcing a tentative emission-cutting deal between the U.S. and China, the world's worst two polluters that together account for almost half of all greenhouse gas emissions on the planet. The White House trumpteted the agreement that by 2025 would cut U.S. CO2 emissions by 26 to 28 percent from 2005 levels. For its part, China agreed to cap its growth in emissions by 2030 or earlier, and to increase the share of renewable fuels to 20 percent by 2030. The rest of the world today began wondering how, exactly, the non-binding pact would be realized. "We are at cross-purposes," said former U.S. Security Official Jamie Metzl, speaking on KQED's Forum today. "President Obama and Xi Jinping are today saying that this climate pre-agreement -- because nothing has been put down on paper -- shows what’s possible when we work together. But at the same time, both countries are very aggressively working to advance their position relative to the other." For example, Metzl said, the U.S. is moving forward with the Trans-Pacific Partnership, a trade agreement that doesn't currently include China. And China is pursuing its own free trade agreements in the region, while building up its military presence. "It's scaring the bejesus, if that's a San Francisco word, out of its neighbors -- Japan, others in the South China Sea," Metzl said. "And the U.S. is having its so-called pivot to Asia, where we're talking about trade but also increasing our military presence in the region. So there's a huge amount of competition and potential room for conflict, and there's this other story of trying to find a means of cooperation. So climate change -- this is certainly very positive, but it doesn't erase the overall framework, which is one that's quite concerning." The brinksmanship is also playing out domestically, with Republican leaders in the House and Senate decrying the climate deal as a "continuation of the president's job-crushing policies" and an "unrealistic plan the president would dump on his successor." Their ire is directed at the pace of emission reductions that would be required to reach the goal. The U.S. is currently aiming for a 17 percent reduction by 2020, a goal that will have taken 15 years. The deal with China calls for an additional reduction of 10 percent in five years. "From 2020 to 2025, for the United States to achieve the goals that the President put forward, we would need to double the pace of the reductions to greenhouse gas emissions that we’re currently on track to do," L.A. Times reporter Neela Banerjee said on Forum. "There’s going to be a political backlash, and it’ll probably take the form of legislation that will be introduced, lawsuits, and -- like anything else that’s put forward by this administration -- it’s somewhat of a gamble. Will it survive those challenges?" Banerjee said it's not just Republicans who may try to stall the deal. "There are a lot of Democrats from fossil fuel states who may accept that climate change is happening," she said. "They just don’t want to act on it anytime soon." But the effort to reduce greenhouse gases also has allies, and Banerjee some may be found in big business. "There are more and more companies, including major Fortune 500 multinationals, that are seeing their bottom lines affected by climate change and by threats that are expected from climate change," she said. "So they might find support in unexpected quarters." There's also a bit a of damper buried in the announcement for anyone celebrating the news as landmark international environmental progress on a subject that's been intractable. That is, what will replace the coal plants currently generating energy, and pollution, in the two global powers? "In this 'agreement,' when [China] talks about going to 20 percent renewables by 2030, the only way they’re going to do that, it’s not by composting, it’s by nuclear," Metzl said. "We’re also moving, shifting our energy use away from coal a little bit, and towards natural gas – fracking [hydraulic fracturing]. In China, nuclear’s a big part of this story. In the United States, fracking is a part of this story."